Mix and record live productions of any size with ease. Avid VENUE | S6L delivers the unmatched processing power and sound clarity artists and engineers rely on to present the best show possible. From direct AAX and Waves plug-in support and 128 tracks of Pro Tools recording, to full system modularity and 300+ processing channels, the S6L unified platform gives you the mixing efficiency, creativity, and flexibility you need to meet the demands of any gig. 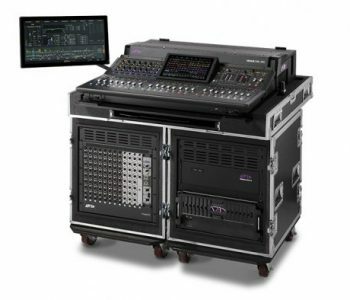 And now with its newly expanded line of five control surfaces, three engines, and four I/O racks to choose from—with 100% hardware, software, and show file compatibility across all—it’s easy to configure and scale the perfect system for your needs.